Since I have been a young boy, I wanted to become an engineer! I studied electrical engineering at Mehran University in Jamshoro, Pakistan. A versatile study program. The clean and environmentally friendly energy production interested me very much. After graduation, I was looking for a suitable postgraduate course. The German engineering degree is very good. In the field of photovoltaics Germany is a pioneer. But not only the theoretical content, but also the practical relevance determined at which university I wanted to complete my Master's degree. That's why I chose "Photovoltaic Engineering Science" at Anhalt University of Applied Sciences in Köthen. And it was worth it! My first job after graduation fits in perfectly with my studies. 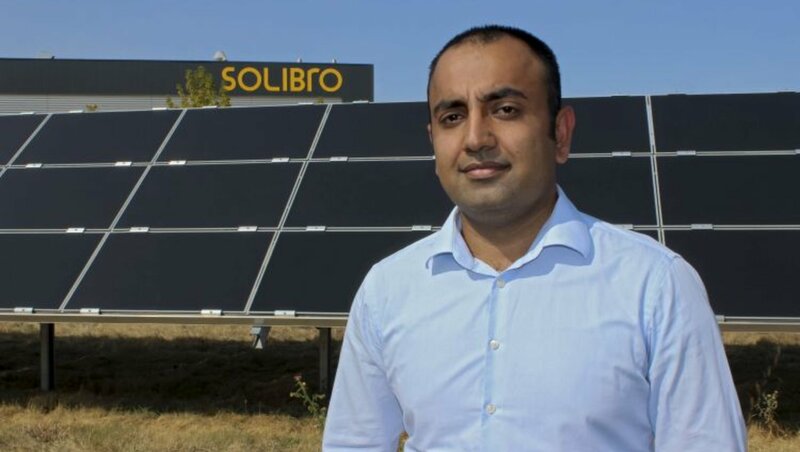 Since May 2018 I work in the Solibro Hi-Tech GmbH in Solar Valley near Thalheim. As a product development engineer, I test prototypes of solar modules. I regularly integrate the study content in my professional life. Studying far from home was the right decision for me. And that the lecturers always had an open ear for me, helped me in many situations.